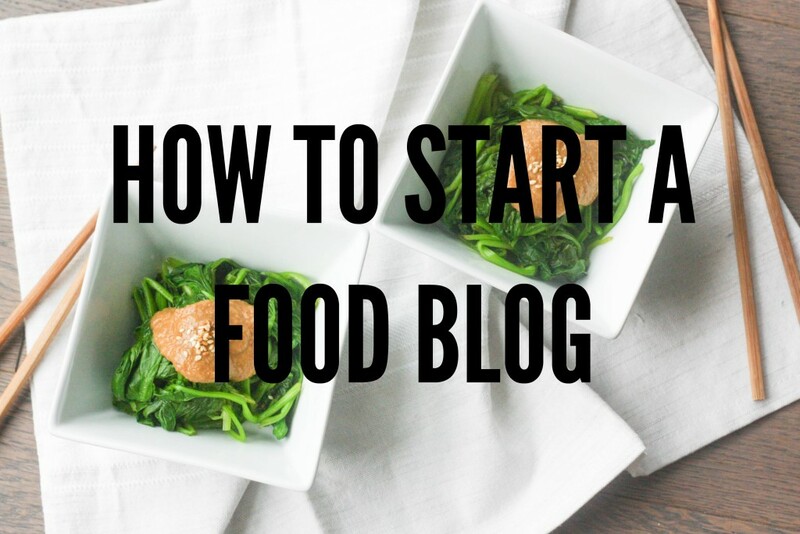 If you haven’t clued on, I am kind of obsessed with fall dishes and starchy vegetables. 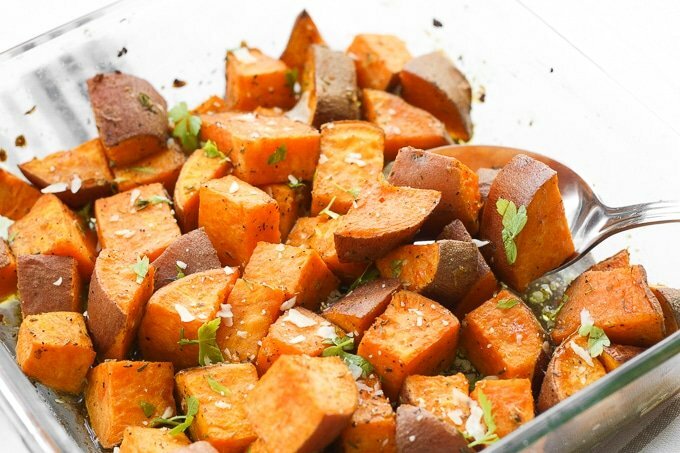 So obviously I am obsessed with these herb-roasted sweet potatoes. 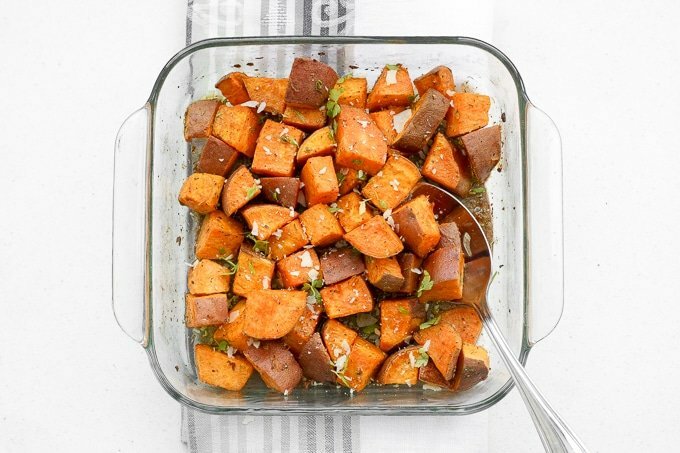 Herb-roasted sweet potatoes are the perfect side dish for your holiday table or for your dinner table on any fall or winter night. 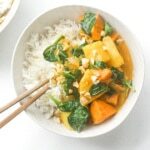 Personally, as a self-proclaimed potato and sweet potato addict, I prepare this dish all year round. 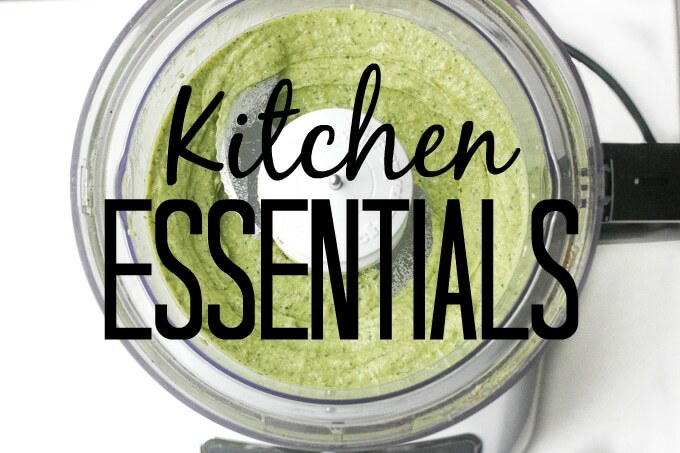 It’s one of my go-to’s since it is super easy, taking only about 10 minutes of prep time. Your oven basically does all the work. 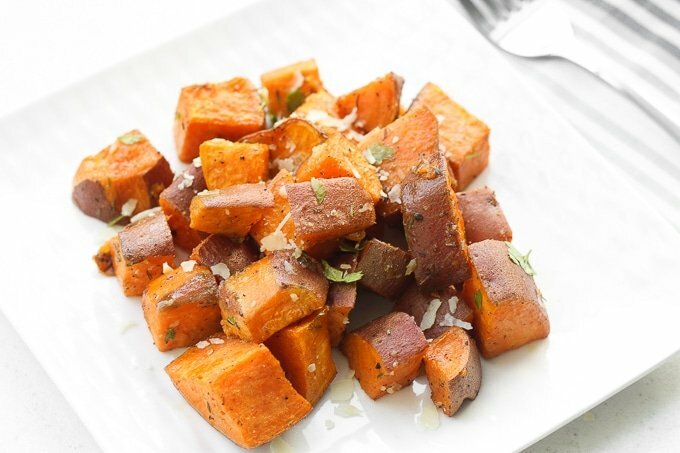 These sweet potatoes are perfectly crispy on the outside and soft and tender on the inside. And every bite is bursting with flavour. 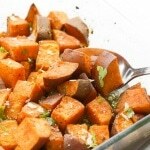 The sweetness of the sweet potatoes is complimented perfectly with the thyme and other herbs. The Parmesan and parsley topping just takes it to another level. Crispy on the outside and soft and tender on the inside, these flavourful, herb-roasted sweet potatoes are the perfect addition to your holiday table. 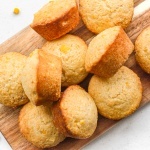 Combine all ingredients in baking tray or 10″ x 10″ casserole dish and toss to coat. Bake for 35 to 40 minutes until tender and golden brown, giving it a stir halfway through baking. Sprinkle with chopped parsley and Parmesan cheese (optional). 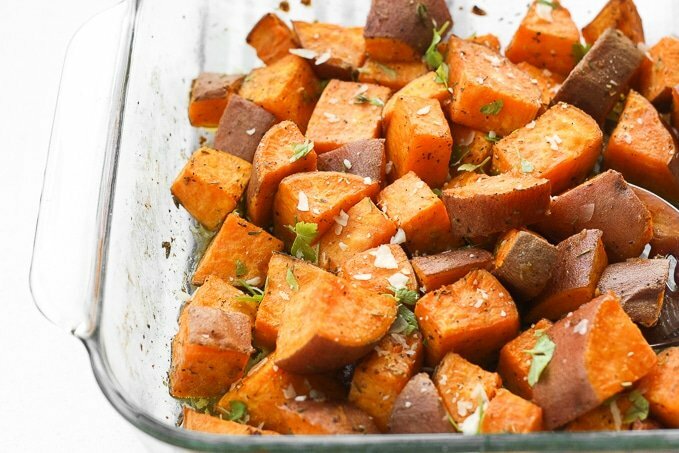 For extra crispy sweet potatoes, broil on high for 2-3 minutes at the end. I’d like to make these for Thanksgiving dinner at my house, which is Saturday. Could I make them today and reheat on Saturday? 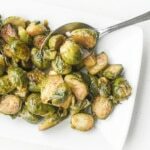 You could try reheating them in the oven, but I have never tried making these ahead of time, so I cannot say for sure how they will turn out. This was so easy to make and so flavorful. Thank you for sharing the recipe! so simple! i’d eat this at least once a week. What a great recipe. 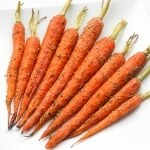 Roasted vegetables are always a hit at dinner time and leftovers so great for lunch salads! 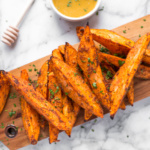 I can’t get enough of sweet potato fries so will be sure to make this recipe. Love the thyme and herbs you have added.